Tired of replacing signs and labels that just won't stay stuck? 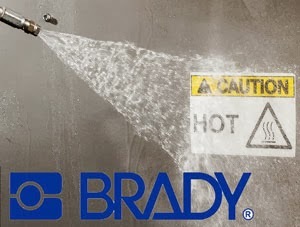 Brady ToughWash materials are engineered for the rigors of typical washdown cycles used in food and beverage processing. 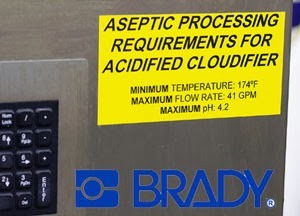 They have tested their products against a wide range of washdown temperatures and pressures over hundreds of cycles using common sanitizers, harsh scrubbing and high pressure sprays. The end result....some of the most durable signs and labels you can find.